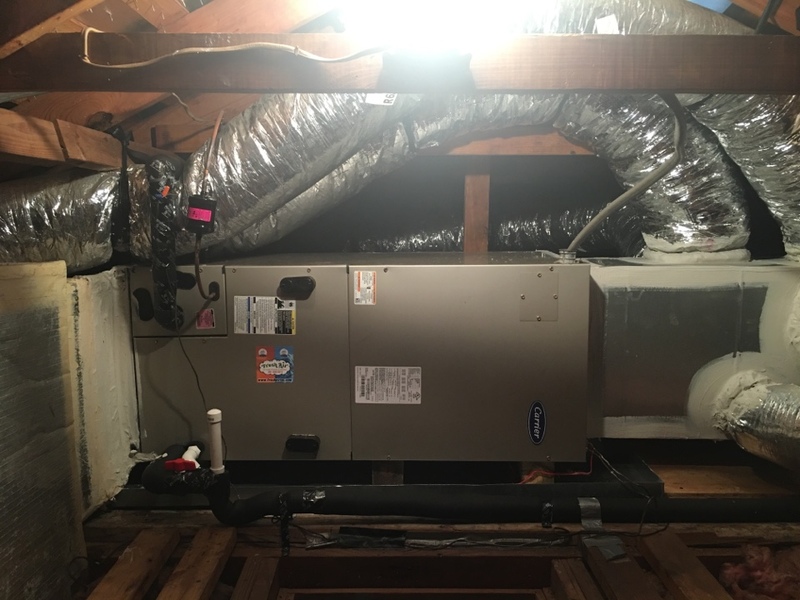 AC Service, Heating & Commercial HVAC | Missouri City, TX | Fresh Air, L.P. Installed 4 ton 16 seer carrier complete system! Since 1971, Fresh Air, L.P. has offered solutions for indoor comfort, no matter the weather outdoors, to homes and business in Missouri City, TX. We are proud of our history and our high level of customer satisfaction, and we believe that you’ll have a great experience with us whenever you need HVAC service. We are fully EPA–certified and most of our technicians have NATE certification to provide you with a quality job every time. We go above and beyond what most companies provide, such as offering whole–house inspections to help you achieve the absolute best in comfort and energy savings. Call us when quality matters! A hot day in Missouri City isn’t a minor irritation, especially if you have an air conditioning system that isn’t functioning the way it should–or perhaps isn’t working at all! But all it takes is a phone call to our team at Fresh Air, L.P., where we’re prepared 24–hours a day to help. So whenever you need AC repair services for your Missouri City home, we’ll be there to help! We install many different types of air conditioning models, and have regular maintenance to bolster your current AC and keep it regularly working without repair needs or energy waste. Indoor air quality is a concern that more and more people have about their homes. We’re concerned about your home’s air quality as well, which is why we want to offer our services to find solutions to whatever is filling your household air. Our many different IAQ solutions available in Missouri City include the installation of air purifiers, air filters, humidifiers, dehumidifiers, energy recovery ventilators, and much more. If your problem is in the ductwork, you can count on us as well to repair the ventilation system. Texas winters aren’t the roughest winters, but they can’t all be a smooth and easy path. If you’re searching for a provider who can keep your house warm without forcing you to waste money on high bills, then Fresh Air, L.P. is the place to call. We have more than forty years of experience with how to best keep homes in Missouri City, TX well–heated and energy efficient, and we’d like to place this experience at your disposal. Pick up the phone and call us today for great heating. Thorough, quick, honest and professional service! Thank you! Joe was fantastic - answered my questions, was friendly and incredibly helpful. He took the time to explain everything. Highly recommended! Great price-- great service-- highly recommend them! Have used Fresh Air for 40 years-they continue to exceed my expectations! My husband and I have been using Fresh Air since 1988. We find the company provides excellent, reliable service. Everything was great. Price, service, etc. Joe Jr was very thorough in his inspection of the systems. I have used Fresh Air for years and will continue to do so. Fresh Air has given excellent service to me for years. I will continue to use this service! At the initial interview several problems were explained. We were told problems would be addressed. They were not resolved however. After installation we had to have service people out to correct problems with installation. Considering the price service was average. Fresh Air has been servicing and installing our heating/Air systems for over 20 years. The quality of their products is the tops, and so is their service. I particularly like the family who owns the company. They have taken a personal interest in our satisfaction. The service contract brings them out twice a year to check for maintenance needs. When problems arise, they are at the house the next day. Much of the repair and service costs are included in product guarantees. I couldn't ask for a better partnership.